Nearly 80 firefighters and elected officials met Wednesday night to outline universal problems and to find common ground. Franklin County fire departments hope over the next few months to meet and set priorities about which fire protection problems most need fixing and how towns can work together to fix them. Officials from each town’s fire department, along with community leaders and law enforcement members, gathered Wednesday evening to discuss possible solutions to those problems, with the largest of the concerns being a widespread lack of volunteer firefighters. The nearly 80 firefighters and elected officials who attended the meeting did not leave with agreement on specific solutions, but rather used the time to state what common ground the departments have and what universal problems they all face. They were encouraged by meeting moderator Bill Guindon to look for small, manageable ideas to work on initially. 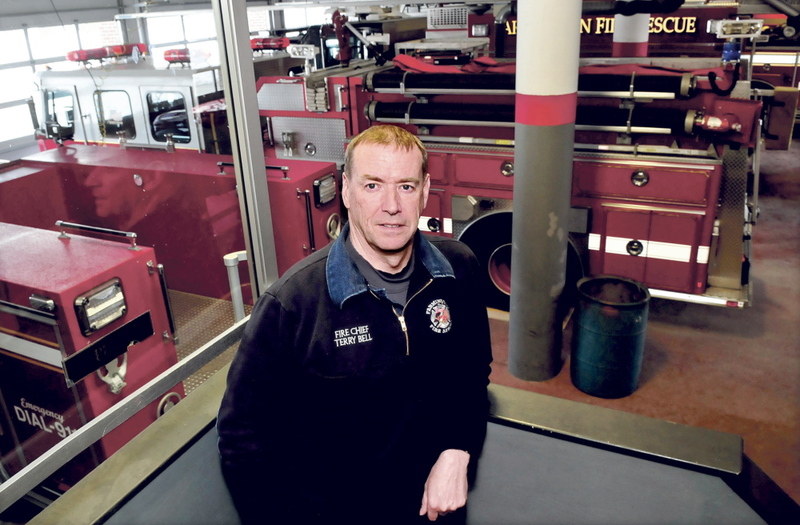 “You can take baby steps to obtainable goals,” said Guindon, director of Maine Fire Service Institute, which does training for the state’s fire departments. Officials agreed the shortage of volunteers is caused by a variety of factors, including an aging population, an increase in the time commitment that being a firefighter requires, and a general decrease in community involvement. The towns already rely heavily on mutual aid from neighboring towns, but Wednesday night officials tossed around the idea of taking that one step further and creating a more formal partnership, such as regionalizing. Tim Hardy, the Franklin County Emergency Management Agency’s director, said that the word “regionalization” could turn people off to the process, if it made people think about other unpopular regionliziation efforts such as those involving jails or the schools. “The word âregionalization’ is a threat to some people,” he said. Guindon said that they could use other language besides “regionalization” to explain the possibilities to their residents. Examples included combining purchasing power, sharing a station and pooling resources to create a fire district responsible for a territory much larger than that of an individual town. “Just this meeting is an example of reigonalization,” Farmington Town Manager Richard Davis said. While the volunteer shortage is a statewide problem, Guindon said this is the first time he is aware of a county holding a group conversation about the problem with all the stakeholders in the room. “Just getting together to have this meeting is a big step. I can’t say that enough,” he said.